Sara Lynn Sanders is an extraordinarily talented photographer, artist and author. Co-host Peter Alden and I had the pleasure of meeting her in Memphis TN at the Marian Cocke Elvis Presley Memorial Dinner that took place August 2017. We are super excited to feature her as our first-ever Elvis ARTIST on TCB Radio Network. Sara has become very popular for her images of Elvis. I asked her about her inspiration. Here’s what she had to say. Now 77 years old, she still works on Elvis paintings every day. She shared candidly about the process. Sara just released these new projects that celebrate the Presidential Medal of Freedom being presented to Elvis Presley. She is running a Christmas sale for these limited edition prints where you can get 2 for $45 plus $10 shipping in the USA. They are signed and numbered by Sara with only 99 of each available. To order please send an email to saralynnstudio1 (at) gmail (dot) com or connect with her on facebook HERE. Sara Lynn Sanders was born July 11, 1941, a few months before Pearl Harbor. She opened her own photography studio in the 1960’s and by the time color film arrived in the 1970’s – she’d hand tinted thousands of photos. This gave her an amazing education in portrait painting because by then, she knew all the planes and proportions of the face. in 1993 she went to a Medieval Times show with some friends and met one of the “knights,” Cherif Fortin, afterward. His striking good looks motivated Sara to hire him as a model for her photography. The two of them developed a lasting friendship, and began working on projects together. Passion’s Blood: An Illustrated Romantic Masterpiece Hardcover was released in 2008. Sara has become very popular for her images of Elvis! There’s a gallery of her Elvis work available for public viewing HERE. Soon, we will talk more with Sara Lynn Sanders about how her Elvis inspired art and work. 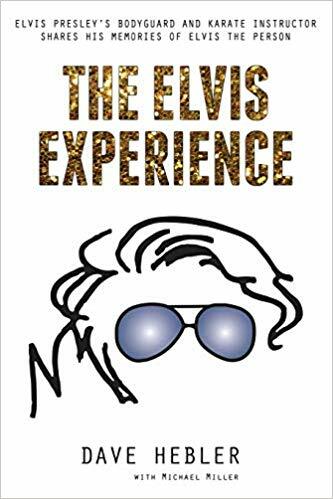 Stay tuned for more Elvis history and stories from this amazing photographer, artist and author. !